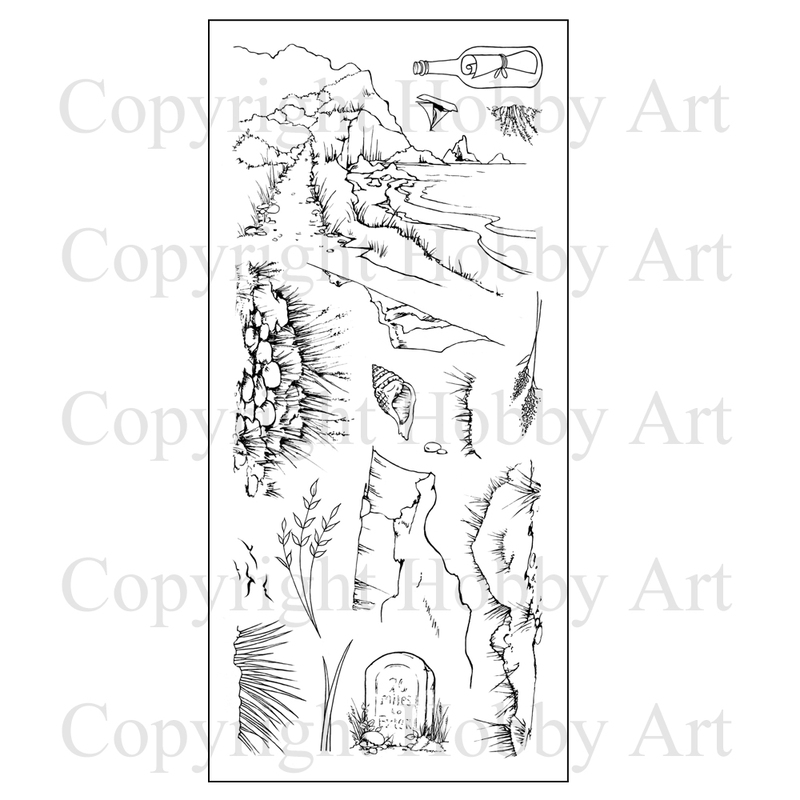 Coastal Walk Hobby Art Clear Stamp Set (CS113D) - Stampers Grove is a webshop and mobile craft shop. Coastal Walk Hobby Art Clear Stamp Set (CS113D). These clear stamps produced by Hobby Art are made with a photopolymer resin. The stamps are designed to be used with an acrylic block. Overall size of set - 100mm x 260mm approx.